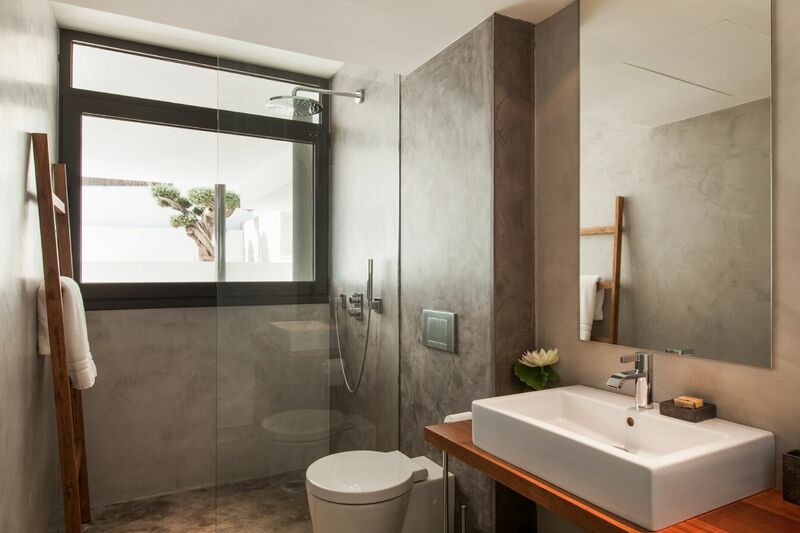 3 hours cleaning per day, towels and linen changed when client requires. 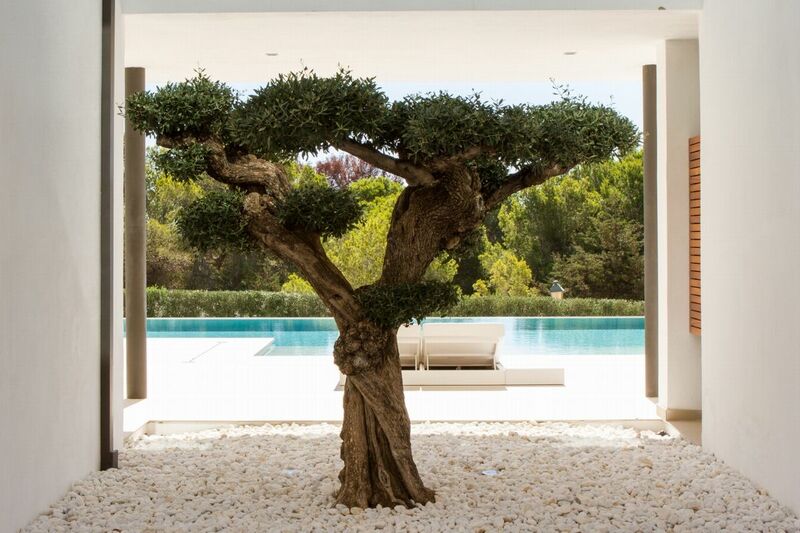 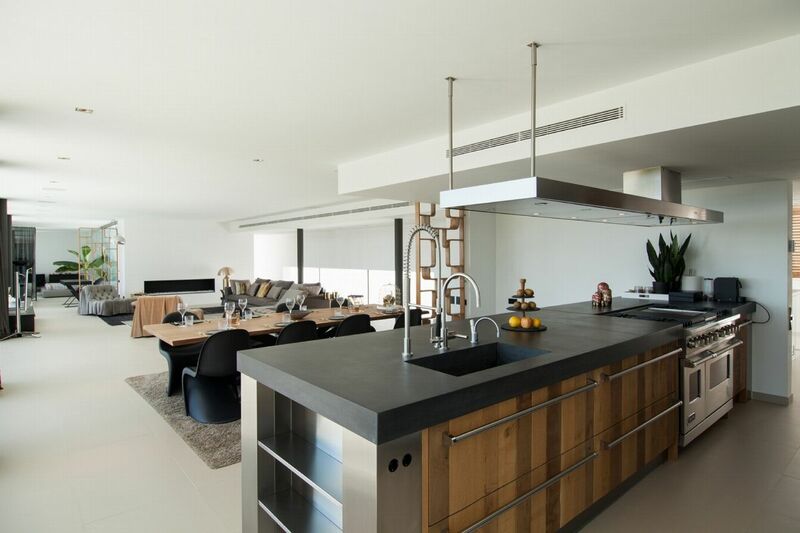 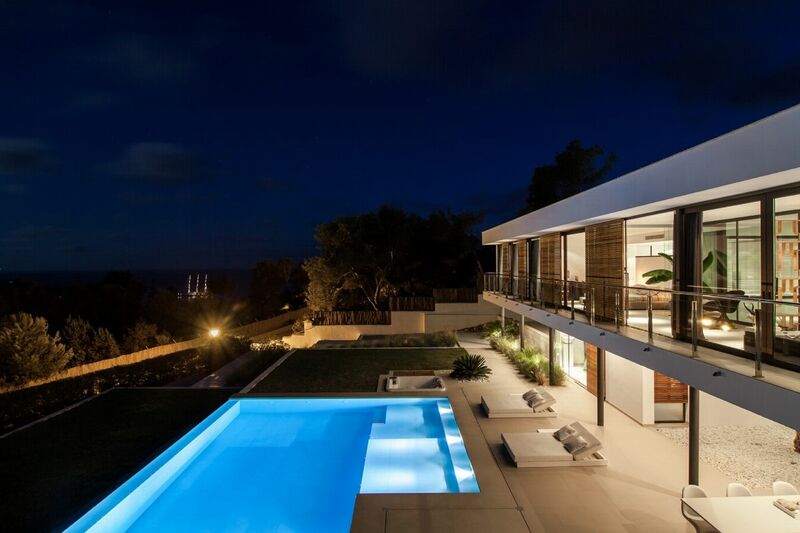 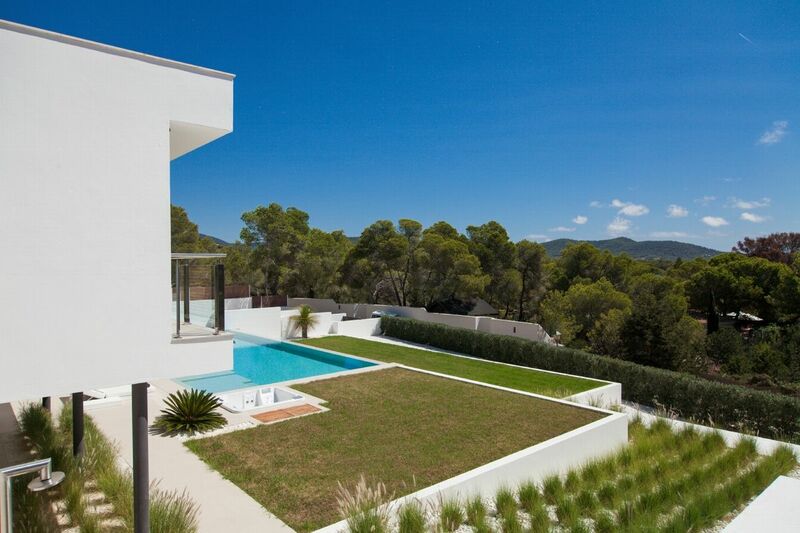 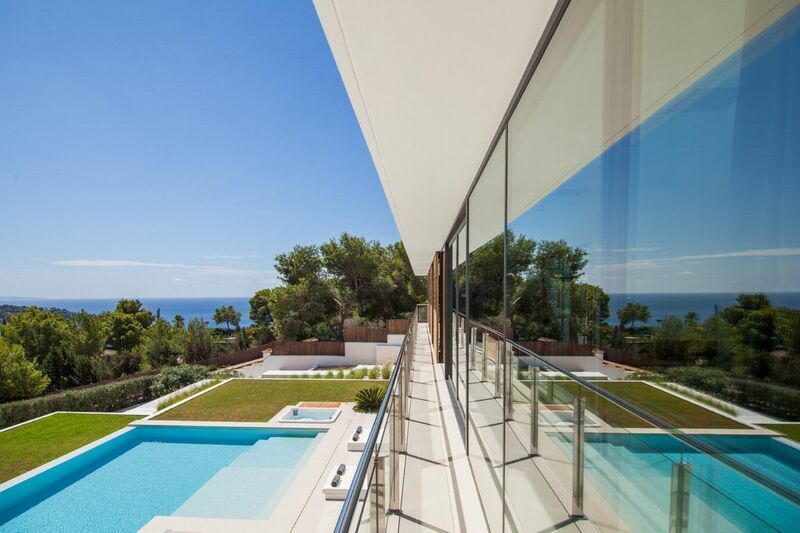 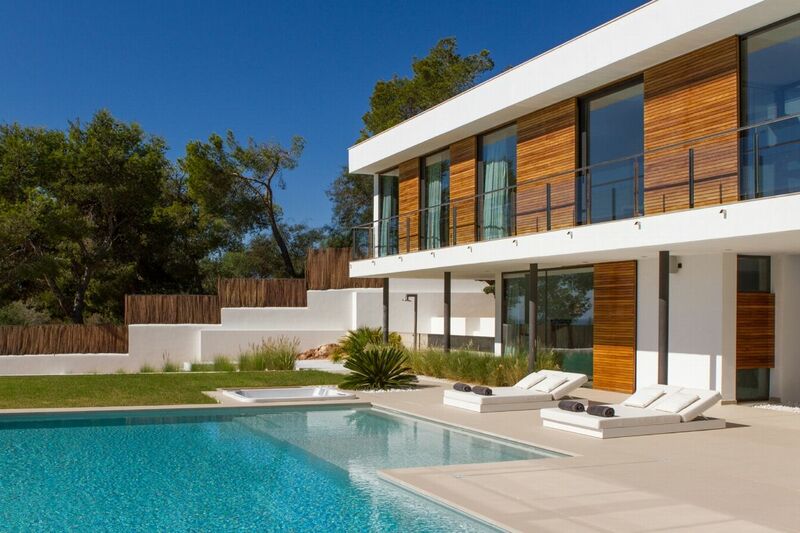 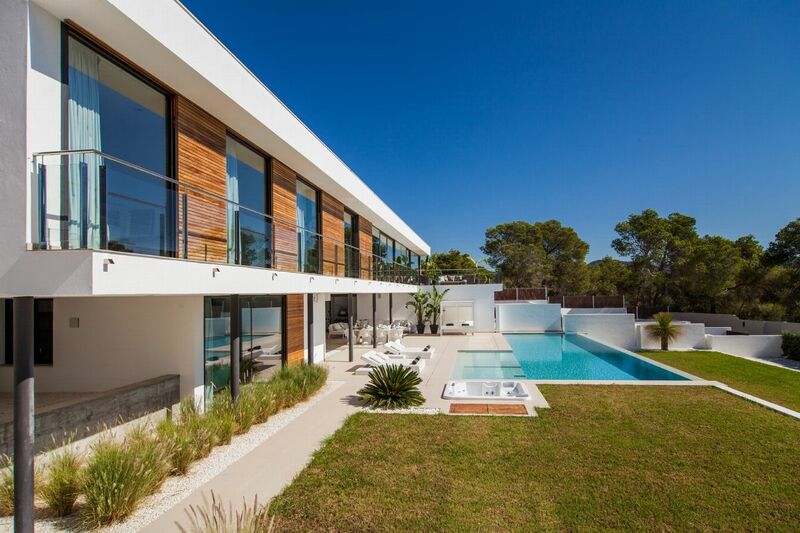 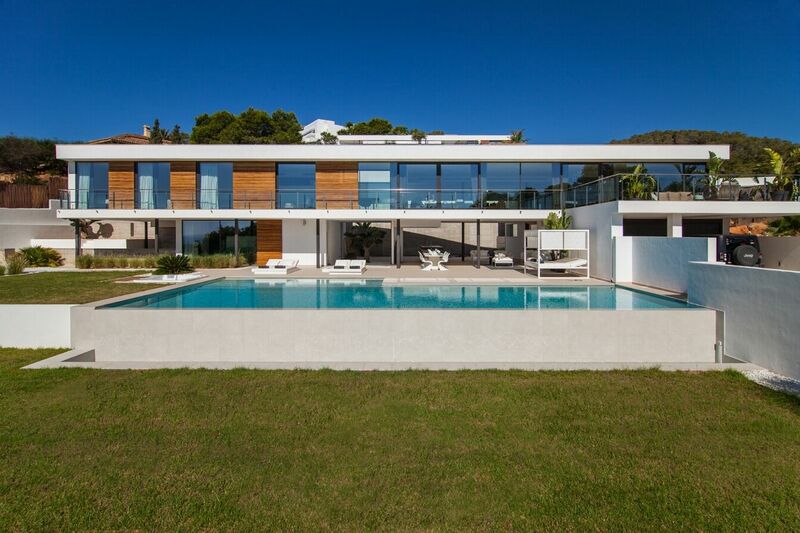 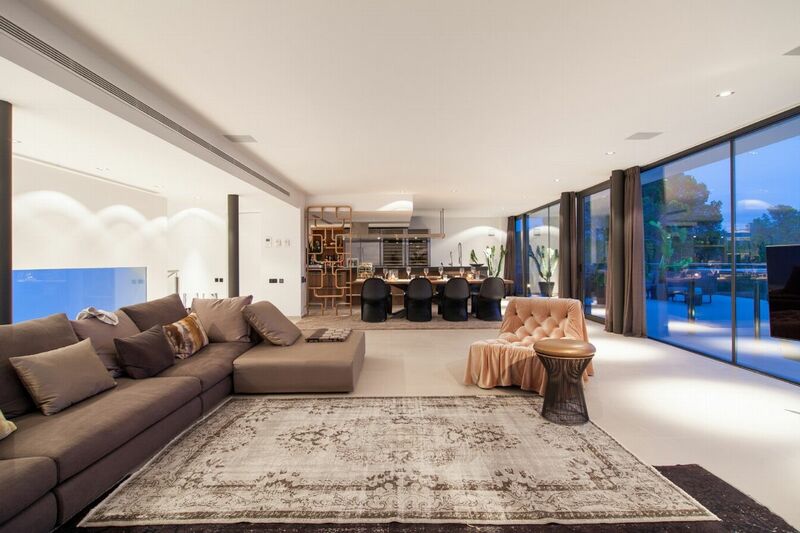 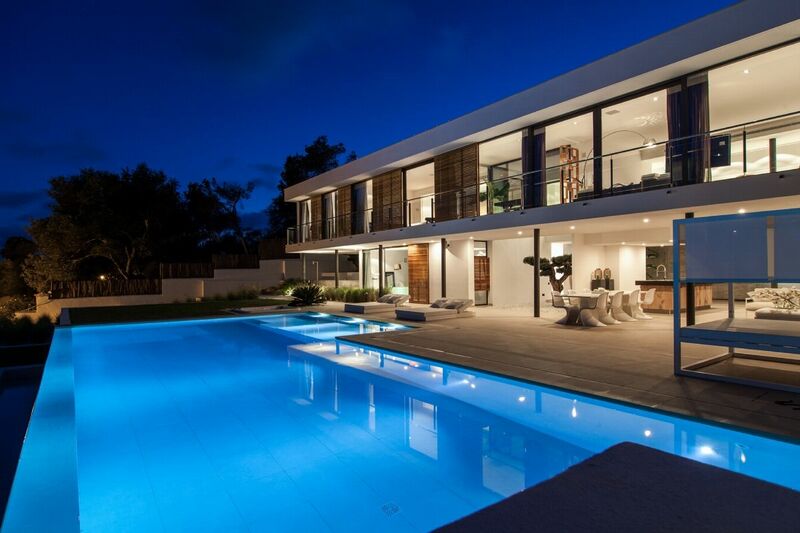 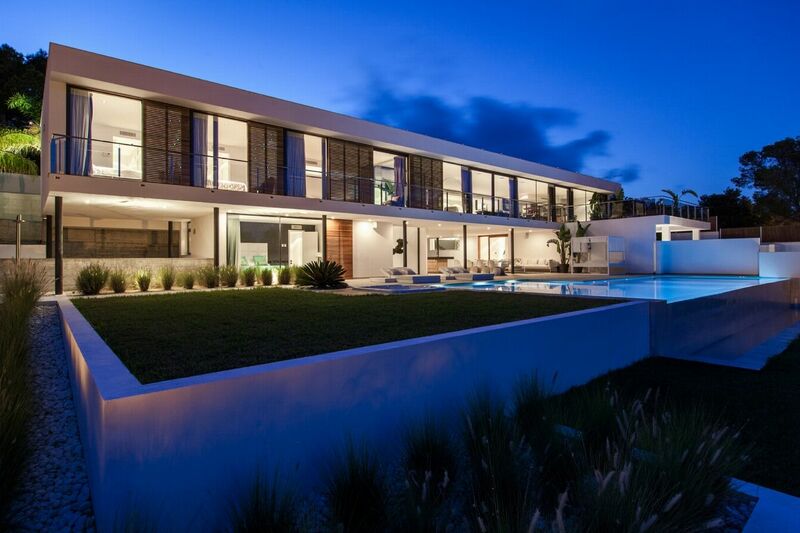 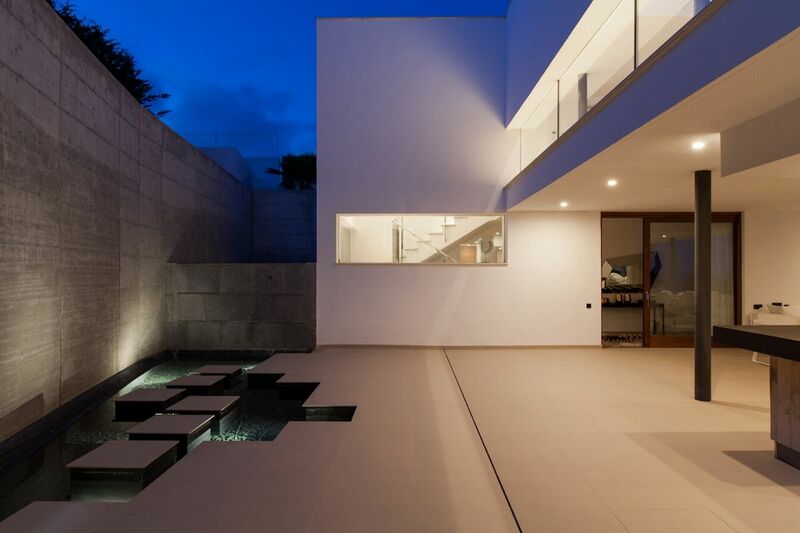 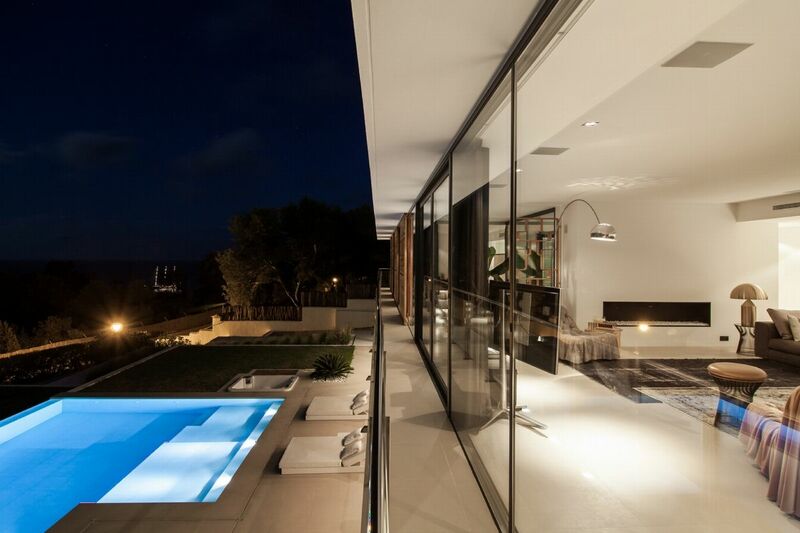 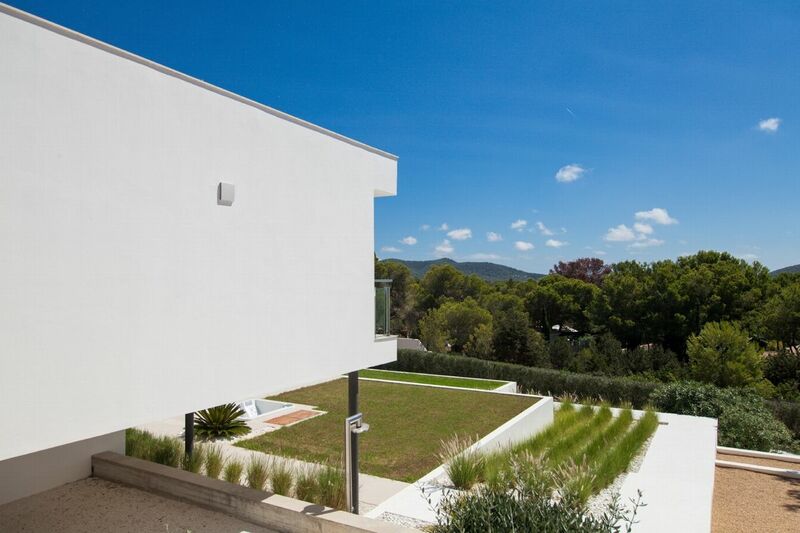 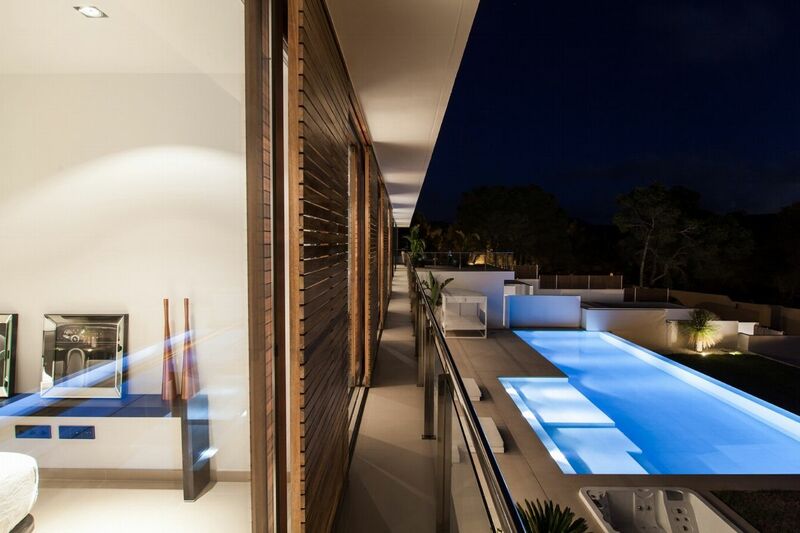 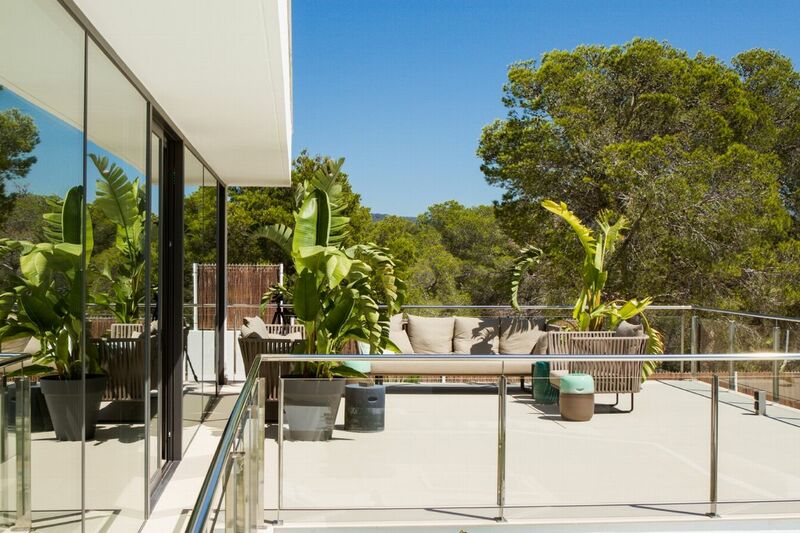 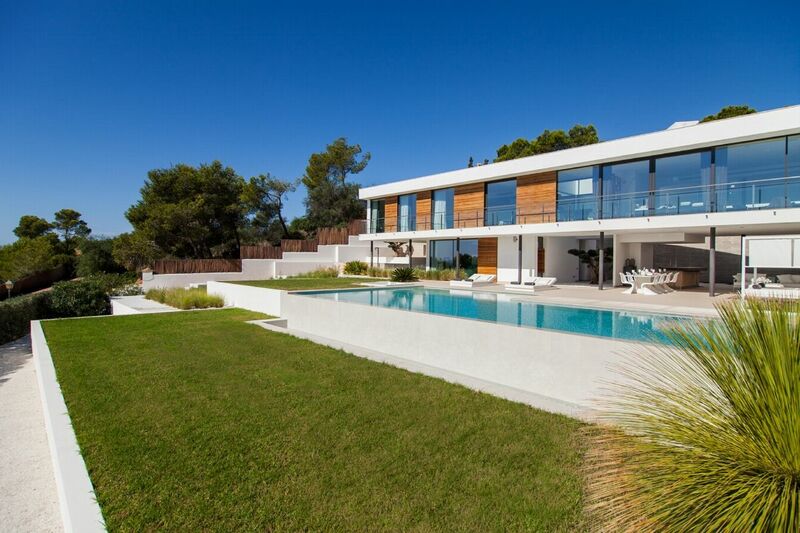 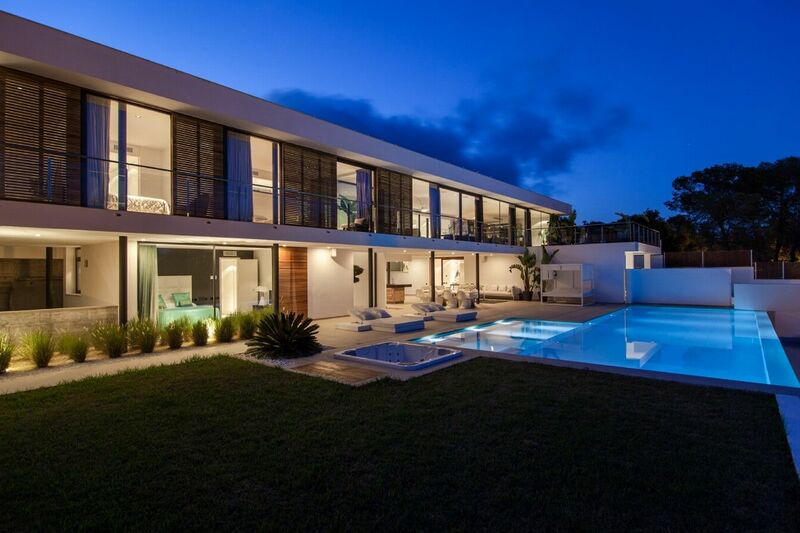 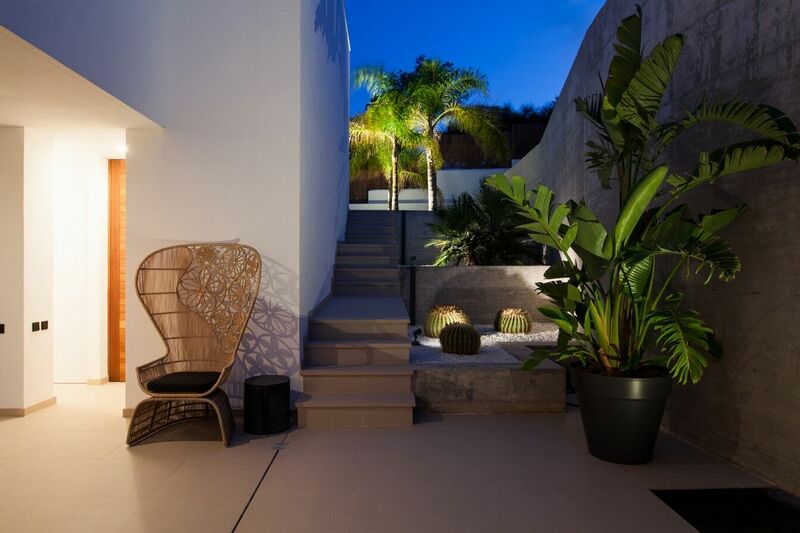 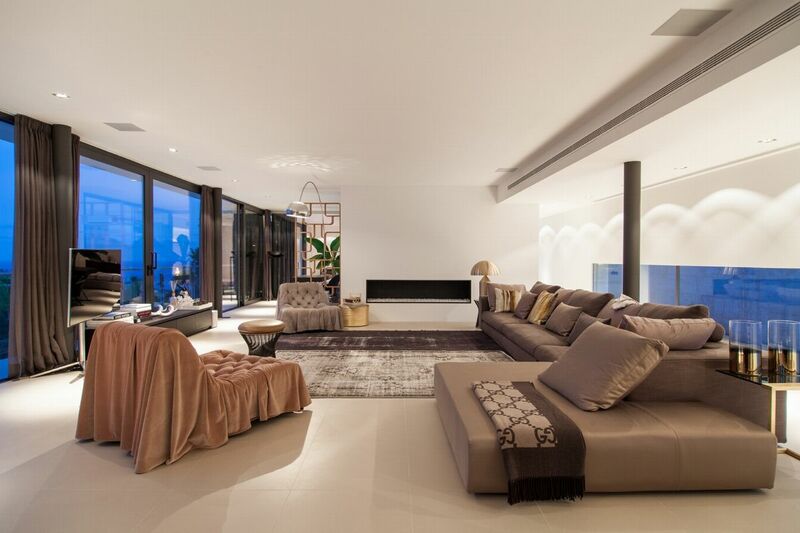 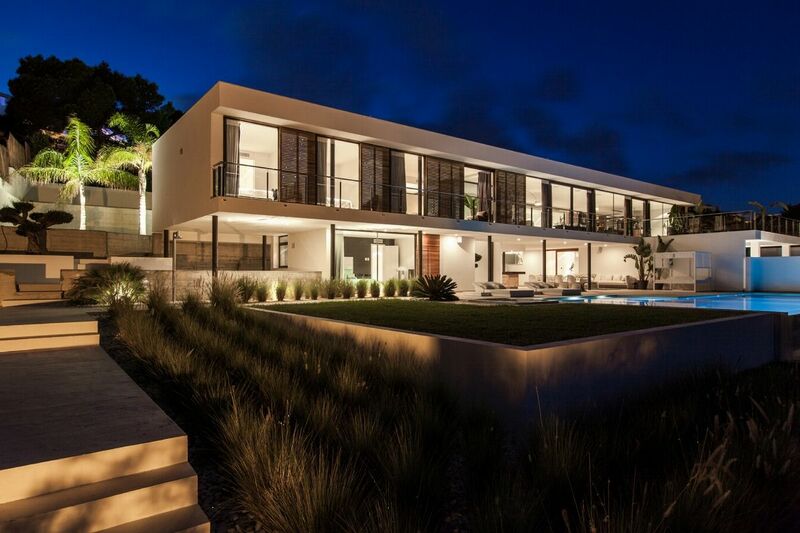 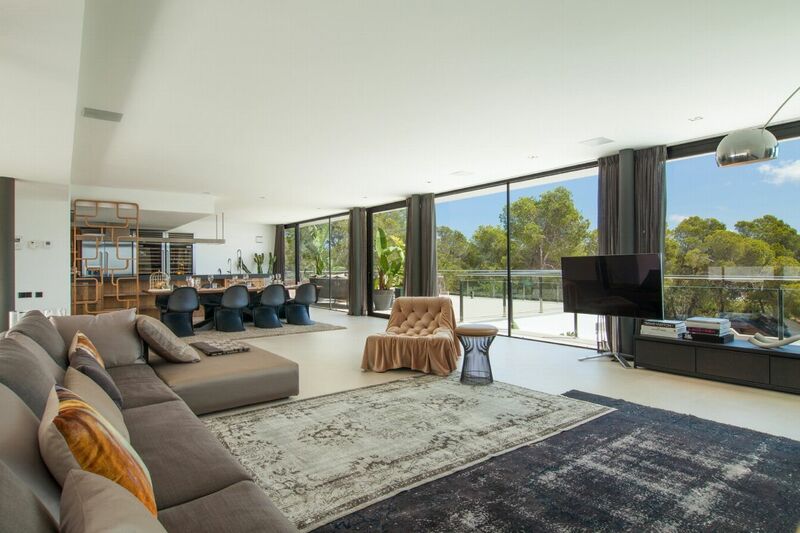 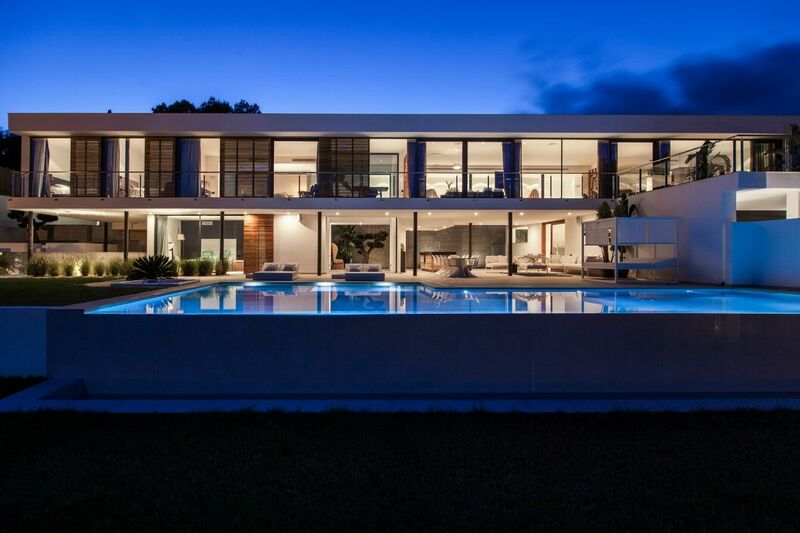 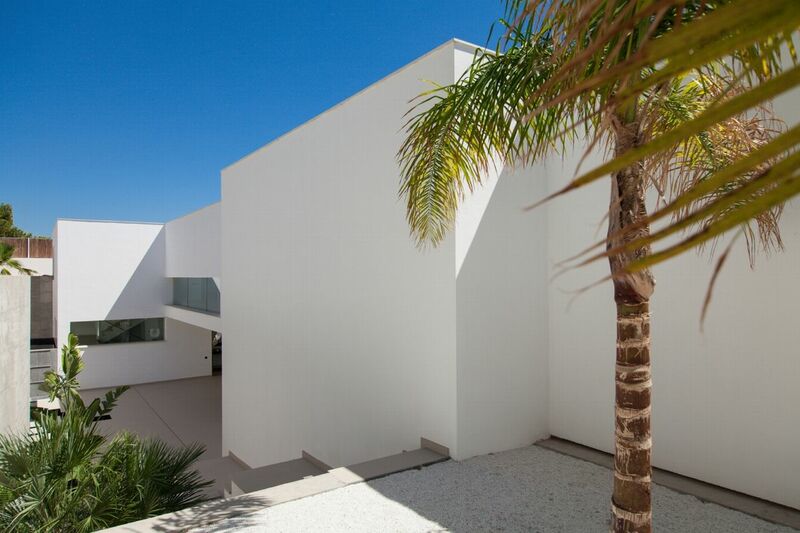 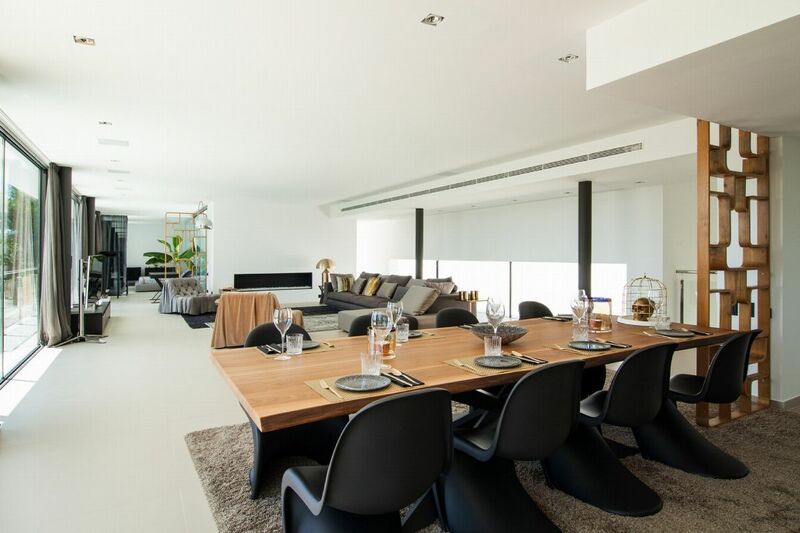 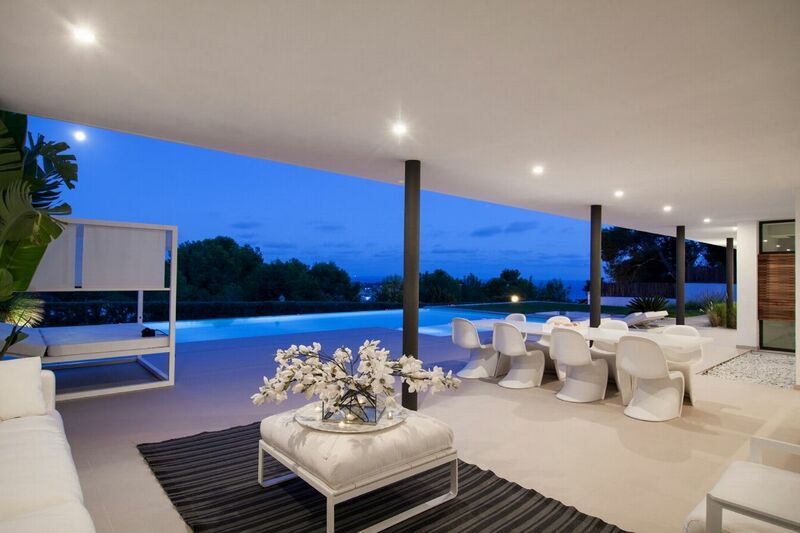 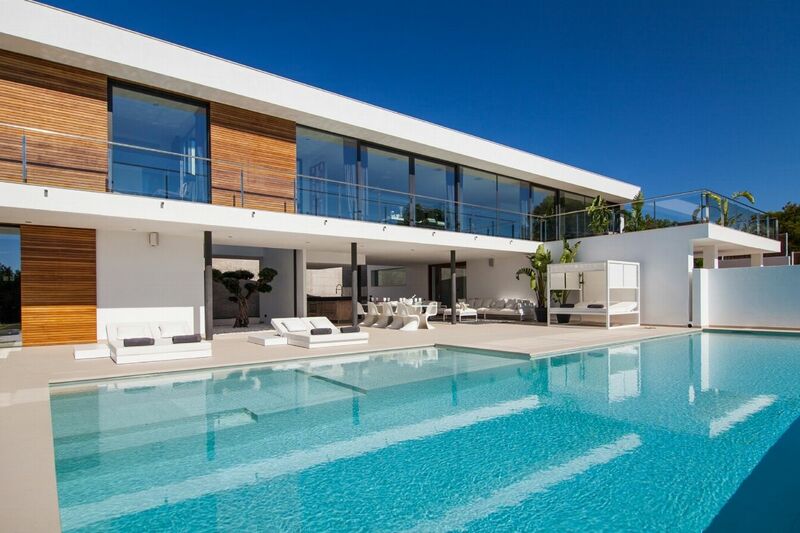 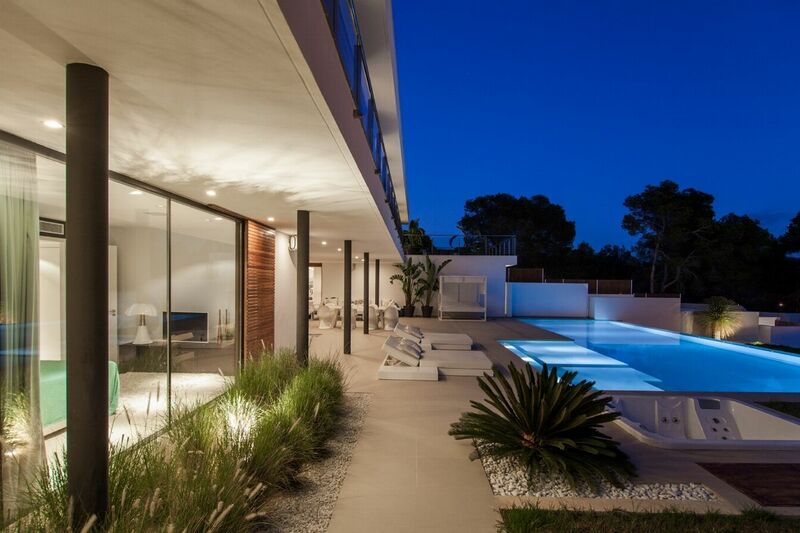 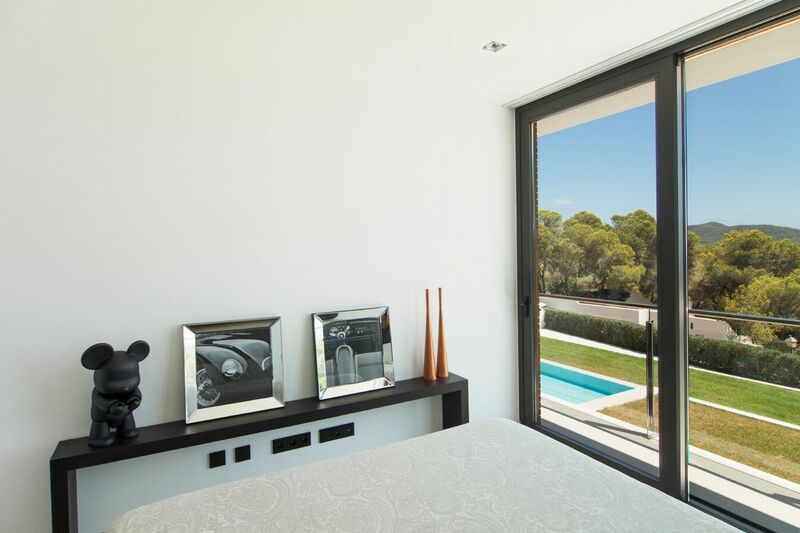 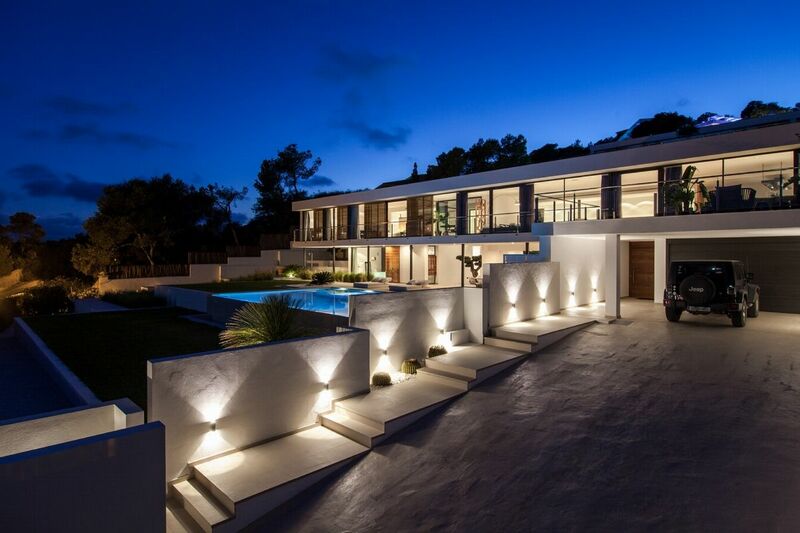 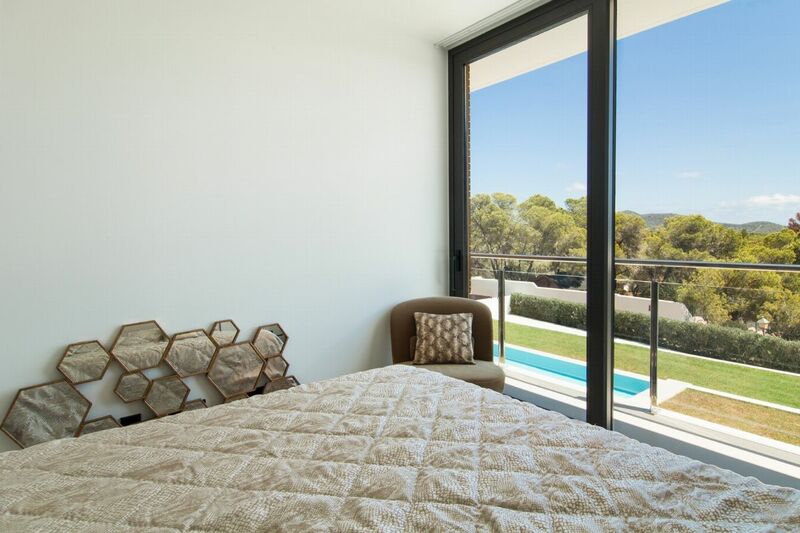 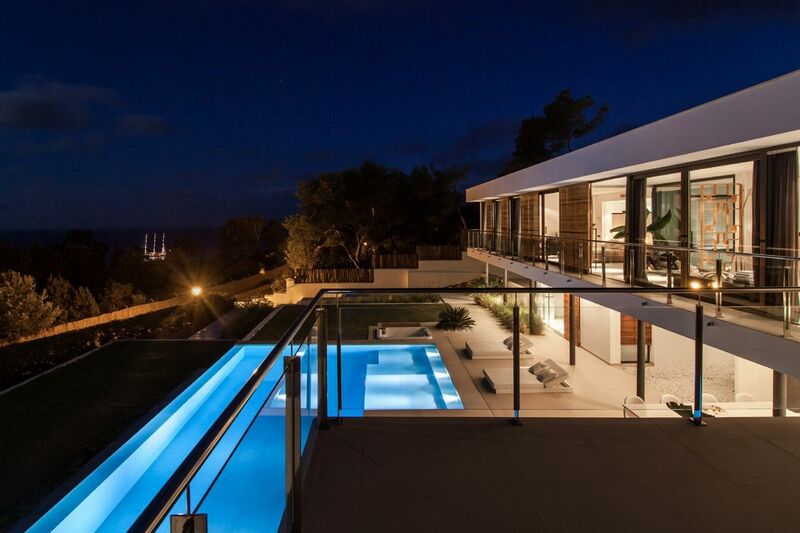 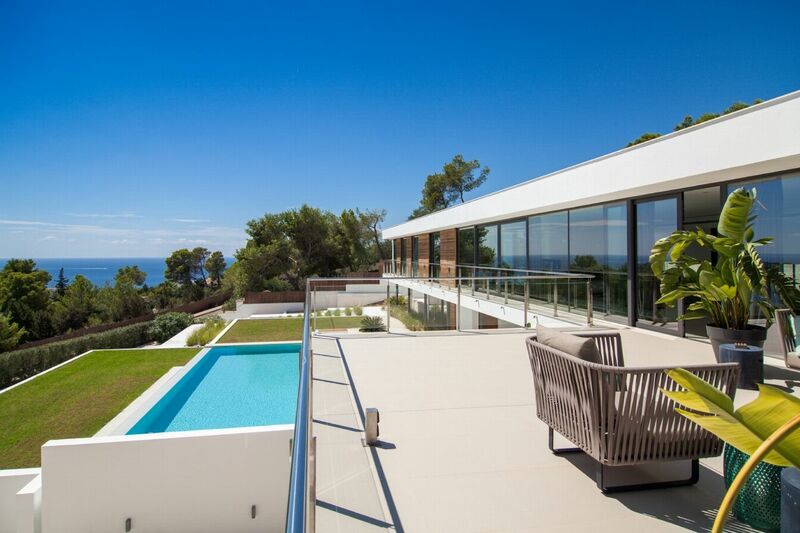 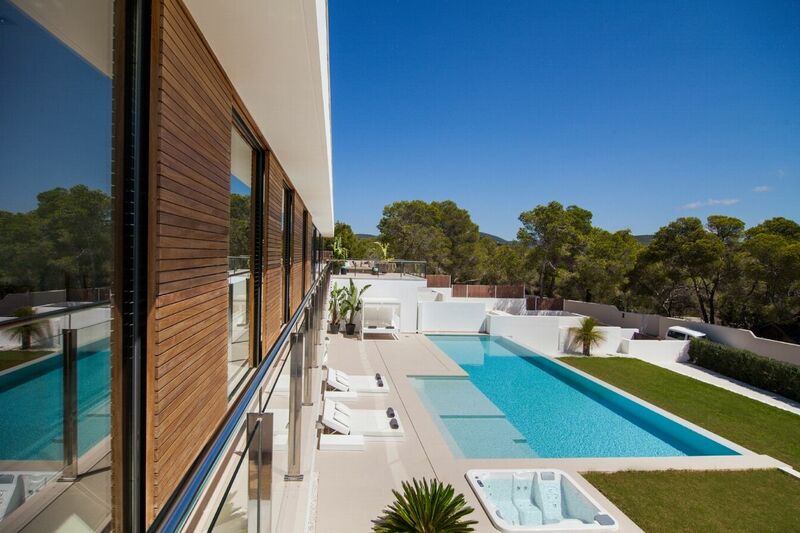 Villa Emilio occupies a glorious south-facing plot on one of Ibizaâ€™s most prestigious urbanisations, Vista Alegre. 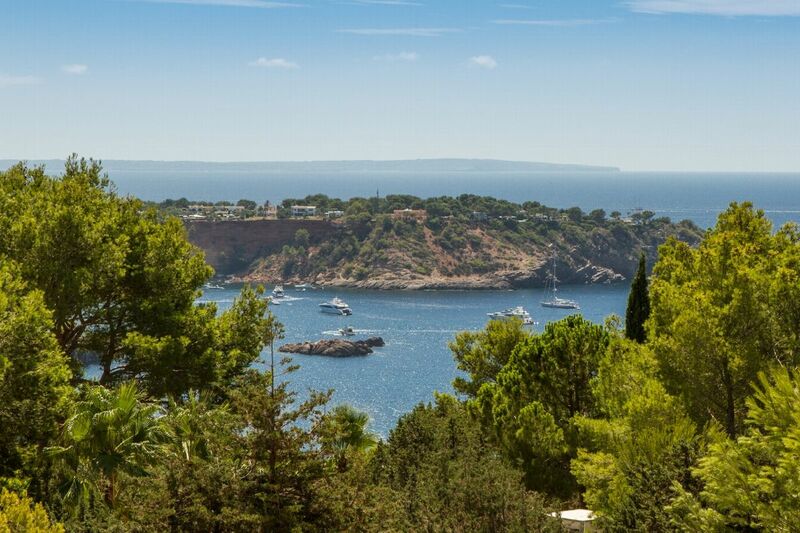 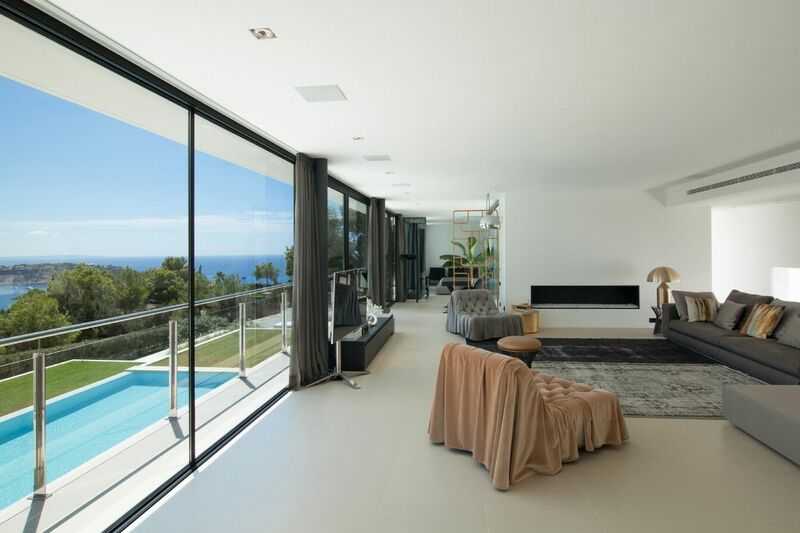 Close to the picturesque village and pebbly coves of Es Cubells, Vista Alegre provides for beautiful views across the sparkling blue bay of Es Torrent and gated 24-hour security. 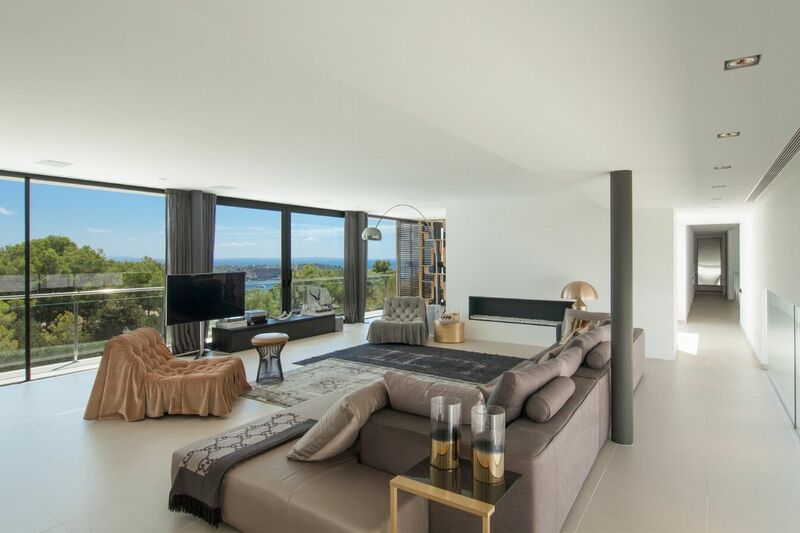 Villa Emilio enjoys some of the best views in Vista Alegre â€“ with the Mediterranean twinkling in the foreground and the island of Formentera in the distance. 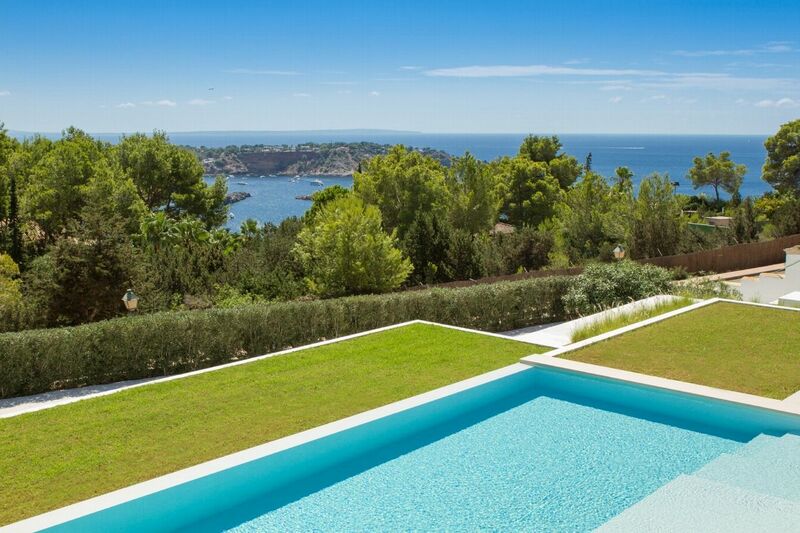 The large infinity pool is surrounded by a choice of outdoor chill-out, dining and relaxing spaces and a sunken hot-tub. 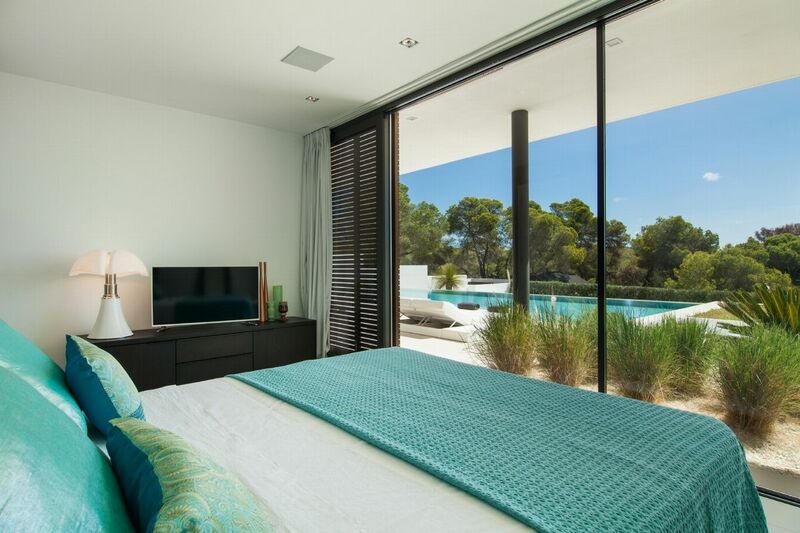 Recline on a poolside daybed in the Ibizan sunshine, or chill in the soft sofa seating under the shade of the floor above. 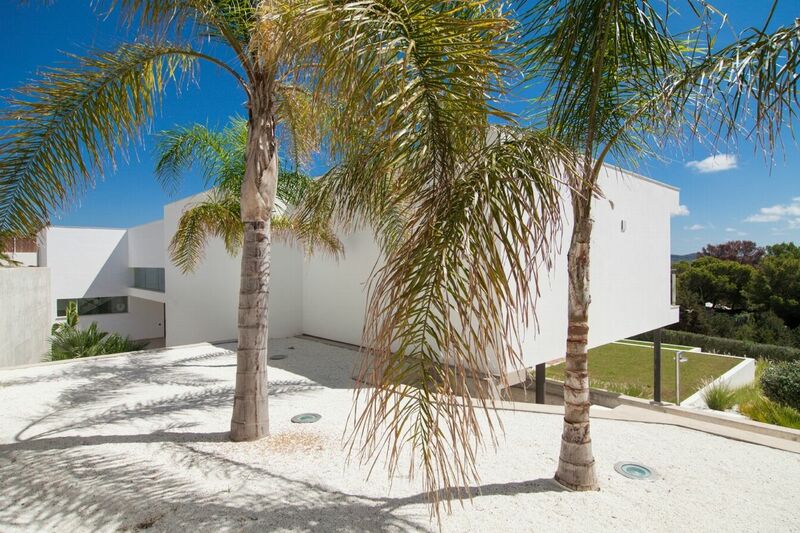 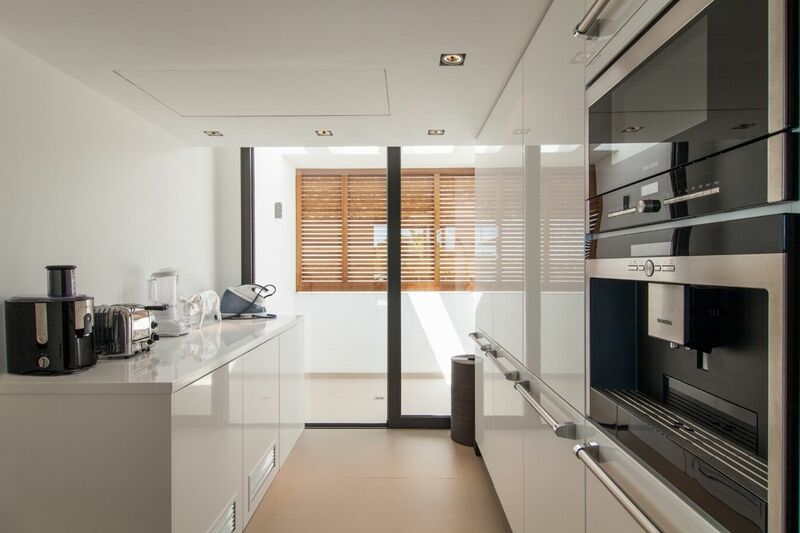 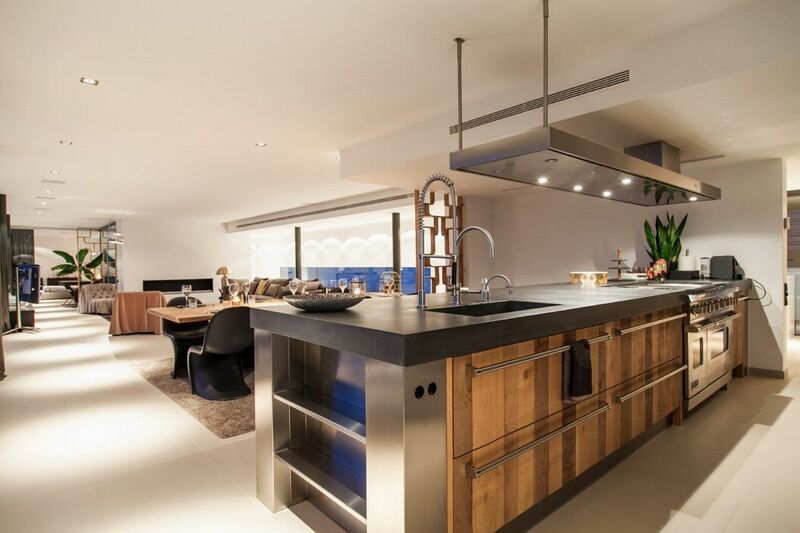 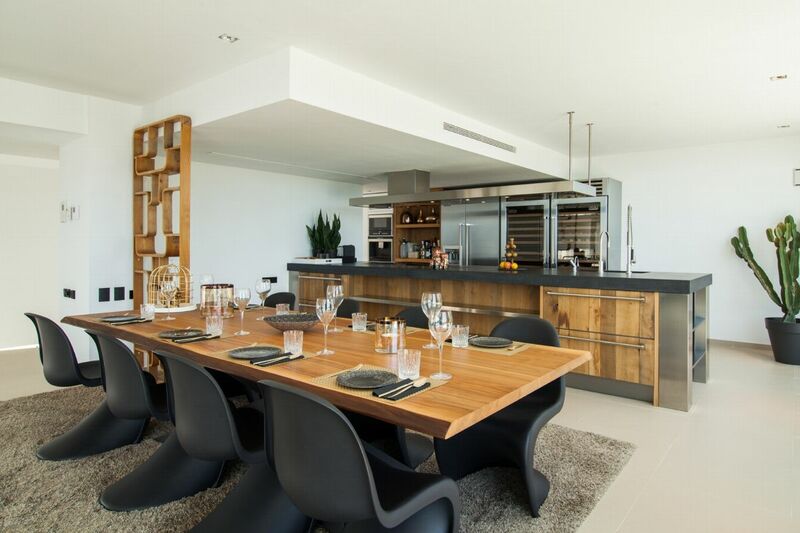 This is also home to a contemporary outside dining space, with table seating eight, and a stylish summer kitchen. 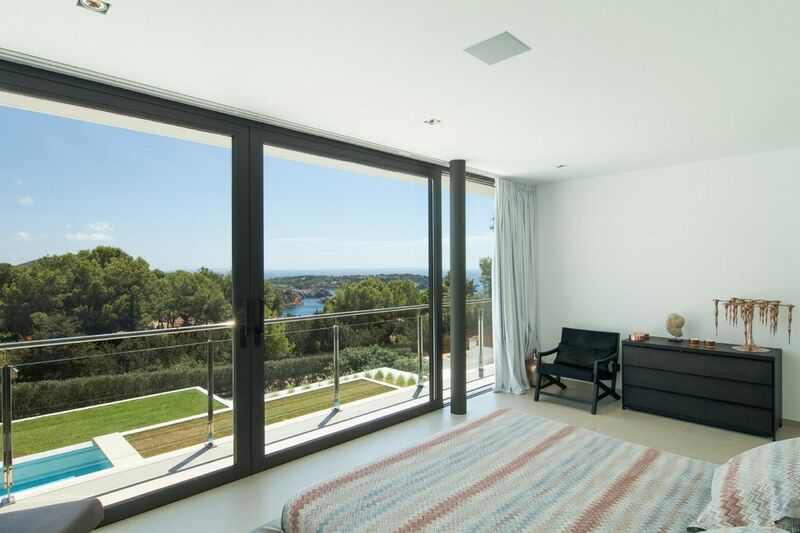 Inside, a beautiful double bedroom with sea views and en-suite bathroom occupies the east wing of the lower floor. 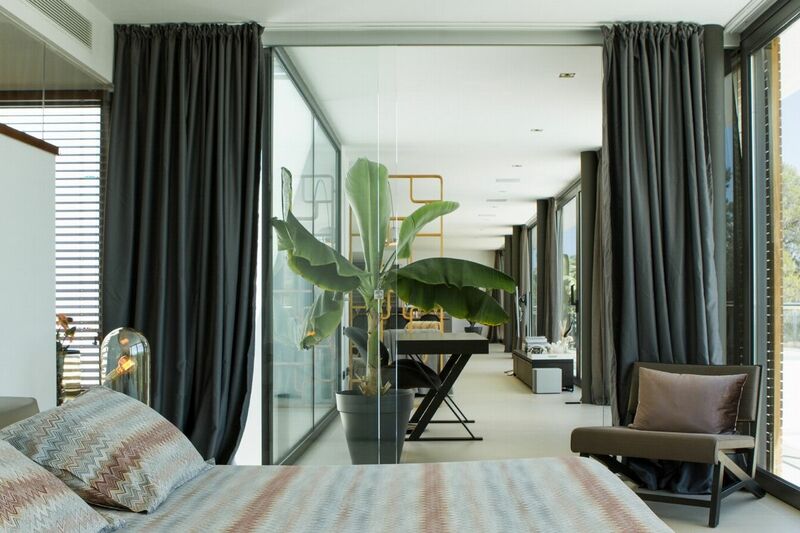 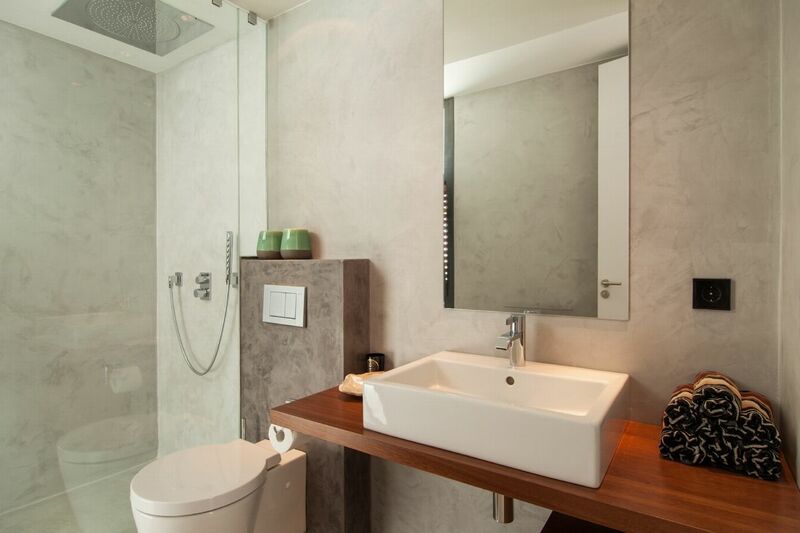 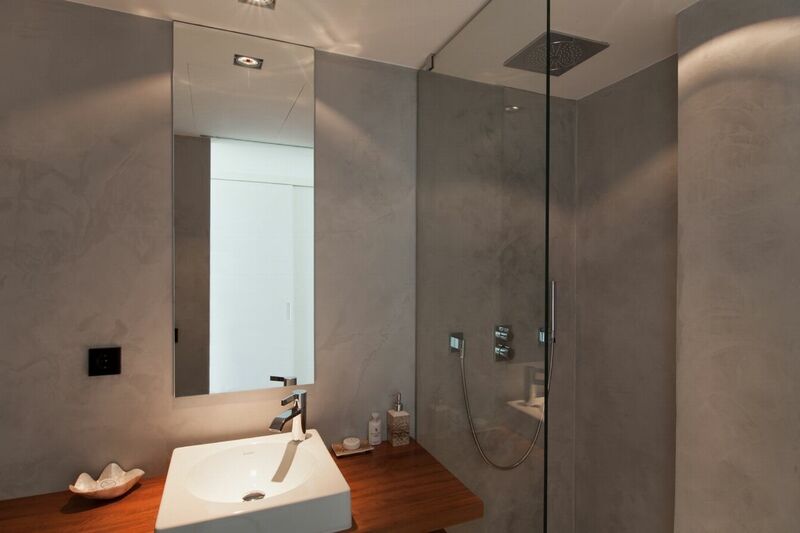 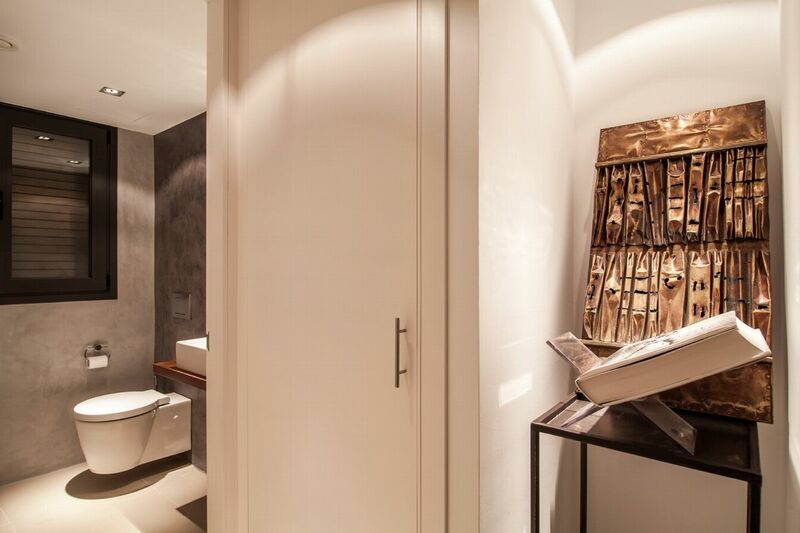 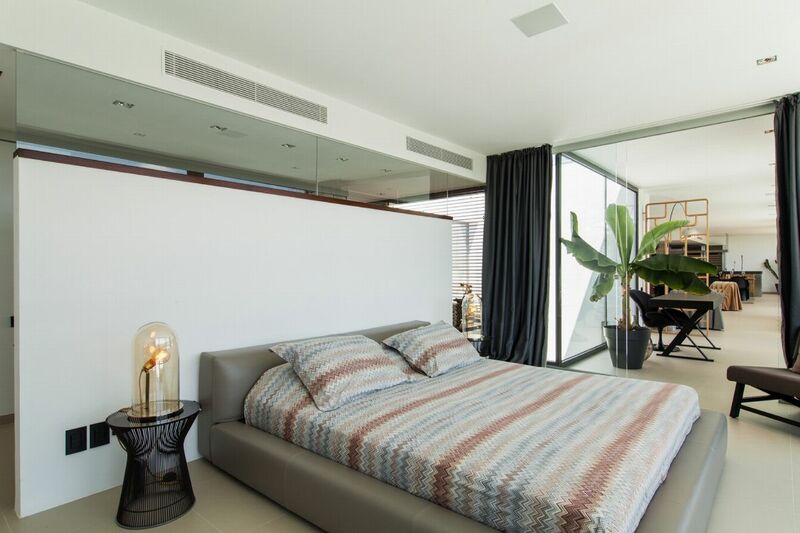 On the first floor, a further three double bedrooms afford more beautiful sea views, each with its own en-suite with contemporary tiled floors, polished cement walls and high-end fittings. 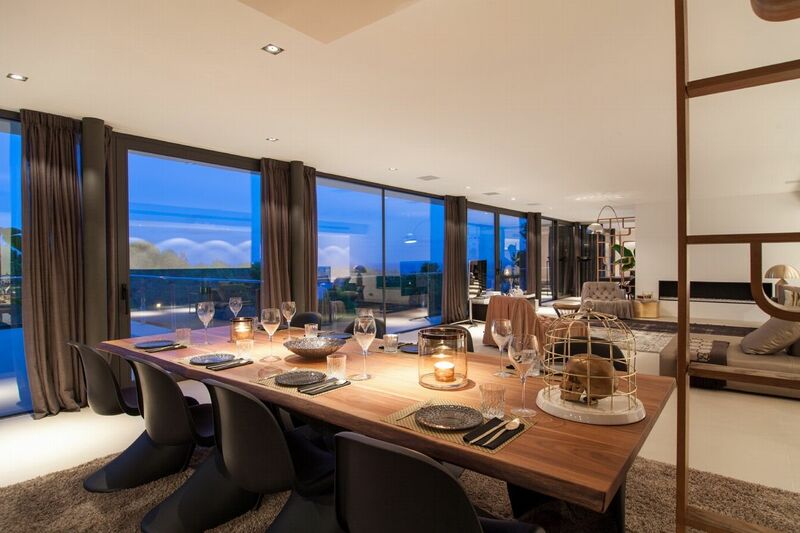 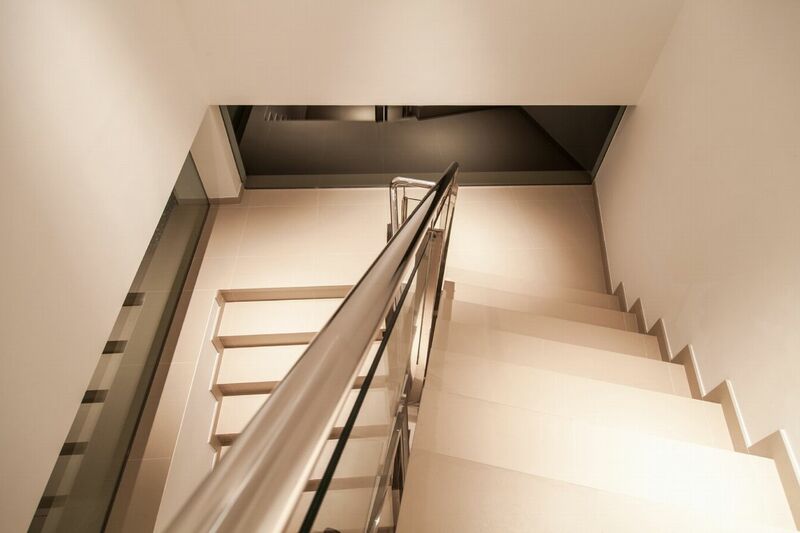 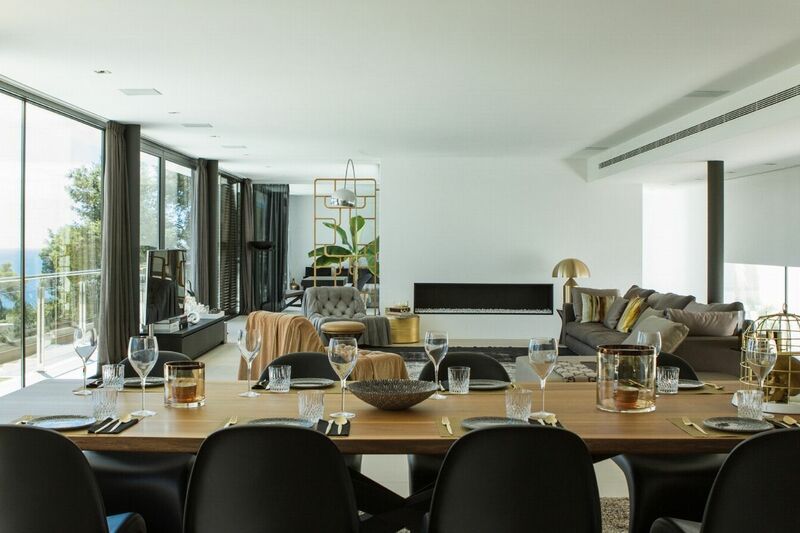 The rest of this upper floor is given to a large open-plan living area â€“ from generous sofa seating with contemporary fireplace, through to a large dining table, seating eight, and a stylish kitchen with luxe integrated appliances. 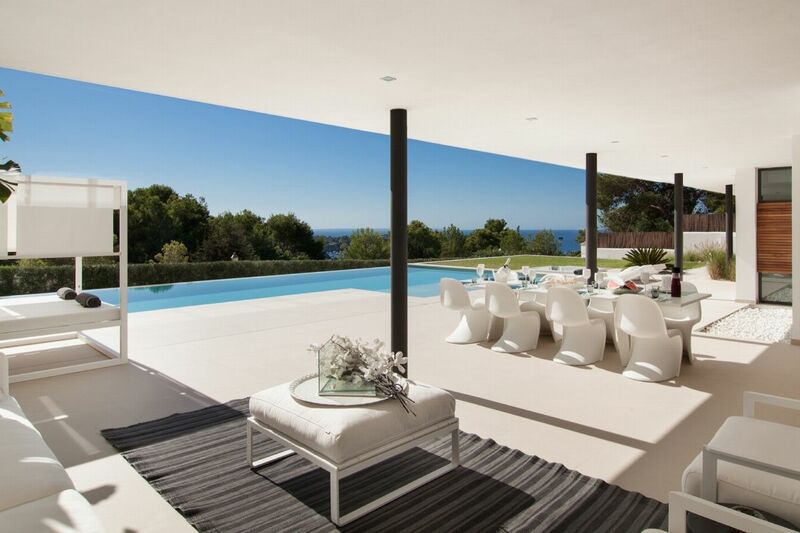 Beyond the kitchen is another outdoor terrace area, with lounge seating, tropical planting and fantastic sea views â€“ itâ€™s the ideal location in which to kick back and enjoy the Ibizan sunset. 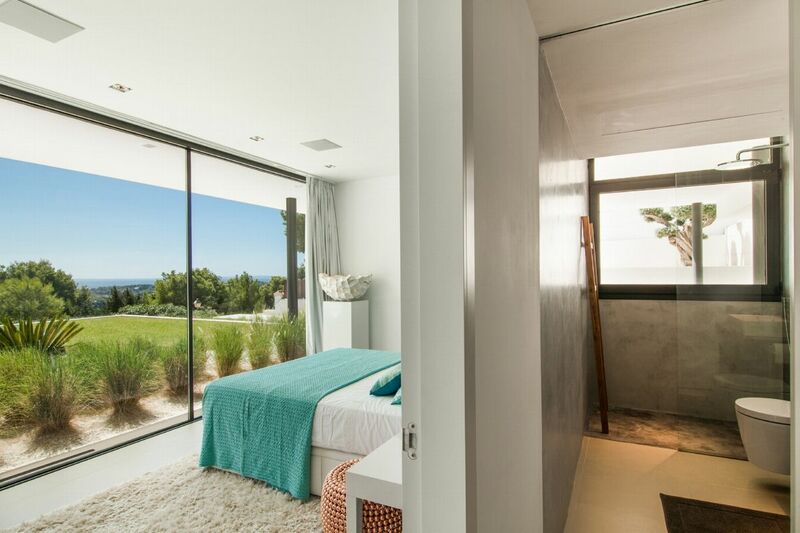 King size bed, en-suite bathroom, air conditioning, sea view. 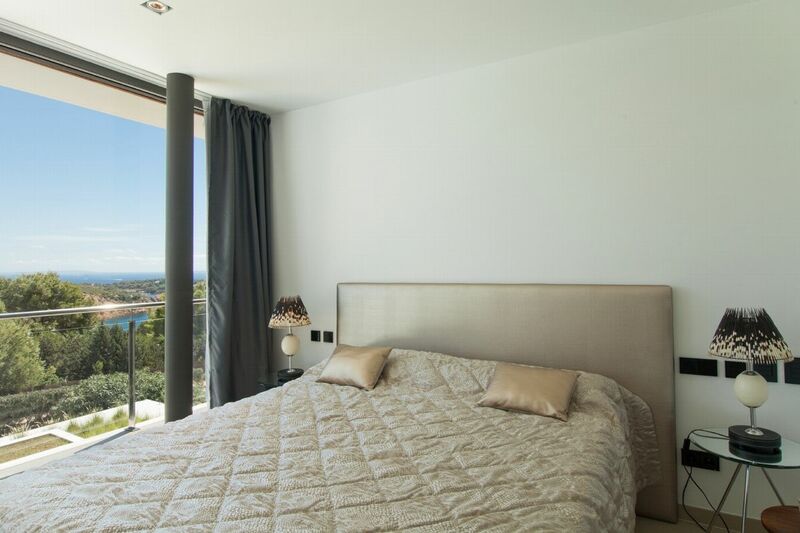 Double bed, en-suite bathroom, air conditioning, sea view.